Our core mission is to create travel memories you will always cherish. Our expert team is dedicated to designing walking & biking tours that are perfectly aligned with your interests, fitness level and budget. We want to help you make the most of your holiday in Portugal by taking you to unique places, promoting one-of-a-kind travel experiences and immersing you in the local culture and traditions. As a tour company based in Portugal, we love to explore our own backyard. That’s why we know every detour, every winding backroad, every picturesque village. All of our tours, hotels and restaurants have been tried and tested by our expert travel team to ensure you only get the very best of what Portugal has to offer. Our guides have very different backgrounds, personalities and professional experience but there is one thing they all have in common: their love for traveling through Portugal and the desire to show you their favorite places in the world. With years of experience and a passion for exploring, our team is ready to show you the best of Portugal. Over the last decade, we have led hundreds of tours, met thousands of travelers and created countless memories. We have cycled Portugal from North to South, stayed in over 100 hotels and worked with tour groups from all over the world. When you book with us, you can rest assured that we know exactly how to design the tour that’s right for you – and we’ll be with you every step of the way. Although we offer plenty of guided and self-guided tour packages, what most excites us is ensuring that our tours cater to your every need. 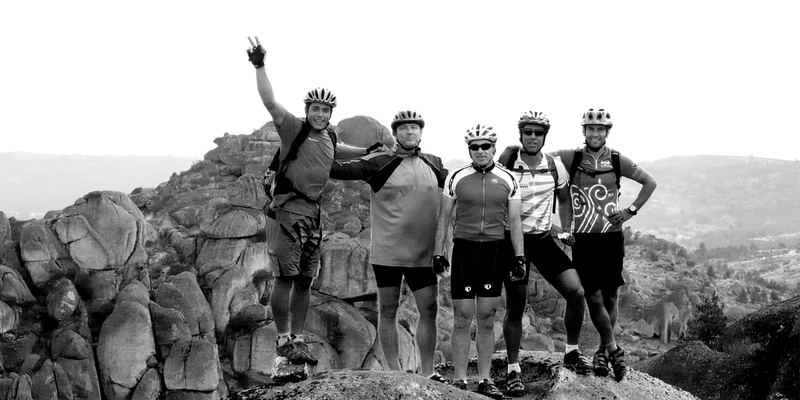 Want us to include a wine tasting on our 8-day biking tour in Douro? Or add a few detours to our premium biking tour from Porto to Lisbon? Get in touch with us detailing your budget, time and interests and we will design your adventure of a lifetime in Portugal. We believe that traveling isn’t only about seeing breath-taking landscapes and discovering historic places (although there is plenty of that in Portugal!). To truly make your holiday one of a kind, we ensure that you fully immerse yourself in the local culture during your cycling or walking tour through Portugal. Tasting traditional dishes, learning about ancient legends and meeting interesting locals are all a part of the journey when you book your adventure holiday with us. As much as we love traveling, we know the negative impacts that tourism can have on the environment and local communities. That’s why, from the very beginning, we have worked with local partners to ensure we minimize the impact of our activities while developing local economies. Our tours are carefully designed to be both socially and environmentally-friendly, thus promoting a sustainable tourism policy throughout Portugal. With over a decade of experience in leading premium cycling and walking tours through Portugal and an insatiable passion for exploring the world around us, we know this country like the back of our hand. And we can’t wait to show you our favorite secret spots on your journey through Portugal. Contact us today to start planning your adventure!